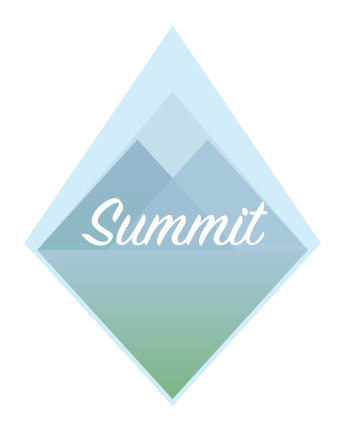 Join us for 8 weeks, starting Wednesday, March 28th at 7pm for Summit Church’s Spring Bible Study series. 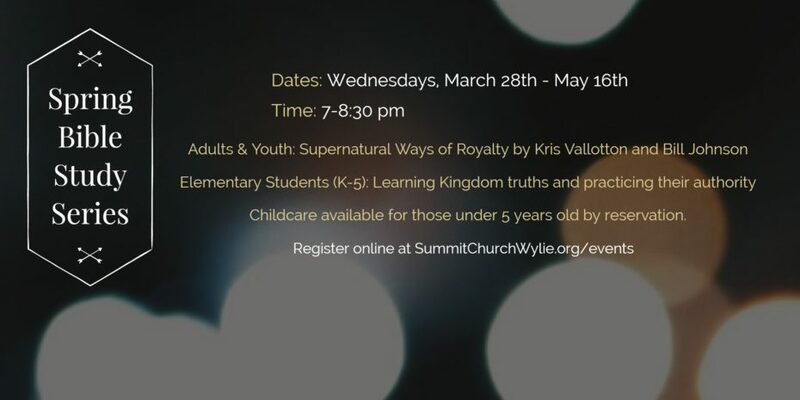 Adults and youth will be digging into their true identities as sons and daughters of the King of kings, studying Supernatural Ways of Royalty by Kris Vallotton and Bill Johnson. Elementary aged students (K-5) will be learning Kingdom truth and practicing their authority. Childcare for those under 5 years is available by reservation. Class fees $7 per person. To experience your full inheritance in Jesus, you must understand your royal identity. In Kris’ book, he and Bill Johnson denounce mindsets that keep many Christians from enjoying their supernatural inheritance. You’ll be guided into an understanding of who God says you are — a royal heir to the eternal Kingdom of God! NOTE: All Teleo Youth students should contact Alisha Hill to register. Class materials are available for pre-order when you checkout through the Eventbrite registration link below. In this book The Supernatural Ways of Royalty Workbook, Kris Vallotton takes you on a personal journey from the wilderness of pauperhood to the halls of the Royal Palace. You will be stunned as Kris unearths the ancient mysteries of your kingly call and guides you into the supernatural attributes of royalty. This workbook will convince you that you are responsible for the nations of the earth. It will equip you to shape world history so that it will be on earth as it is in heaven.